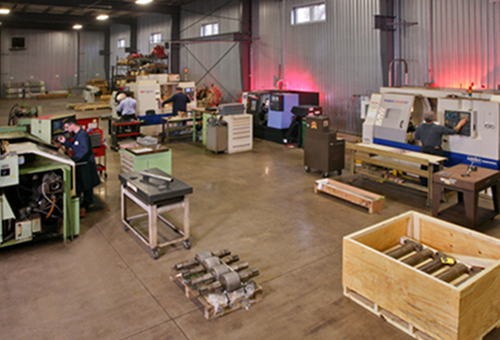 We have developed an experienced team of machinists that take great pride in their craftsmanship. With state of the art CNC machining equipment we can handle most small to medium size parts in quantities as low as 1 piece. Most places have to outsource their grinding while we are able to control the entire manufacturing process under one roof. This saves you mark-up costs, lead time, and we are experts at the critical finishing operation.We have a complete CNC machining department to manufacture your close tolerance parts – including a wire EDM department.